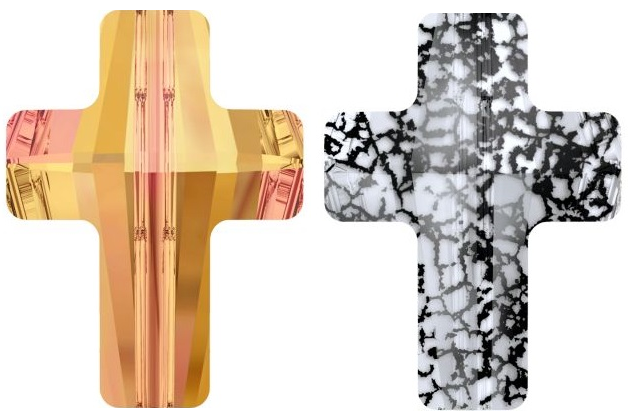 SWAROVSKI ELEMENTS New Innovations Fall/Winter 2015-16! 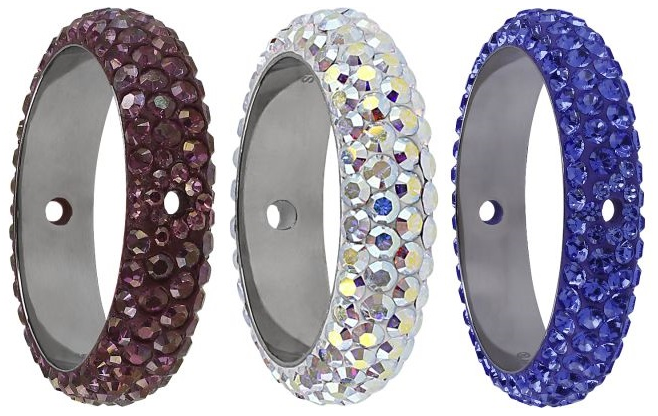 - Rainbows of Light.com, Inc.
SWAROVSKI ELEMENTS New Innovations Fall/Winter 2015-16! New Fall and Winter 2015-16 Swarovski Innovations! What an exciting day with the launch of the New Swarovski colors, effects and styles for this seasons' Fall and Winter 2015-16 collection! These new innovations look goooorgeous darlings and I Love them already!! The overall theme for Fall/Winter 2015/16 heralds a sense of new freedom from strict precision. 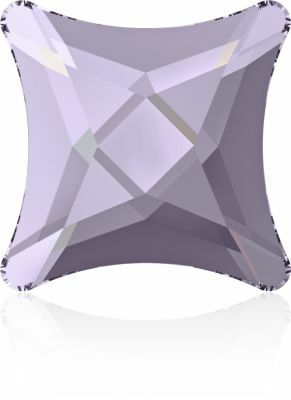 The Newest Swarovski Color is called Smokey Mauve, which is an elegant blend of a sophisticated grey tone combined with a soft lilac hue that provides an air of delicacy and romance. This is an ideal color that is on-point with the current purple trend that has been so popular. This delightful new shade provides a beautiful, dreamy feel for day-wear and transitions effortlessly into elegant evening looks. The Newest Swarovski Effect is called Crystal Paradise Shine, which is an absolute perfect name for this flawless finish! This carefree and joyful effect expresses a lighthearted mood brilliantly, whose metallic multicolored complexities shine with purple, blue and green sparkle that creates an explosion of vibrant color. 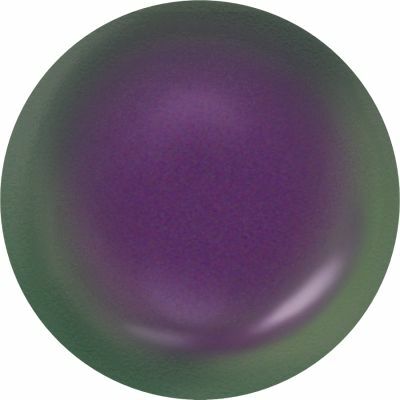 The Newest Swarovski Pearl color is called Crystal Iridescent Purple, which is a mysterious and dynamic two-toned purple-green color coated with a lustrous metallic shimmer. Similar to the very popular Crystal Iridescent Green Pearl, this uniquely rich sheen is strikingly exquisite, evoking a fashionable yet vintage glamorous look. 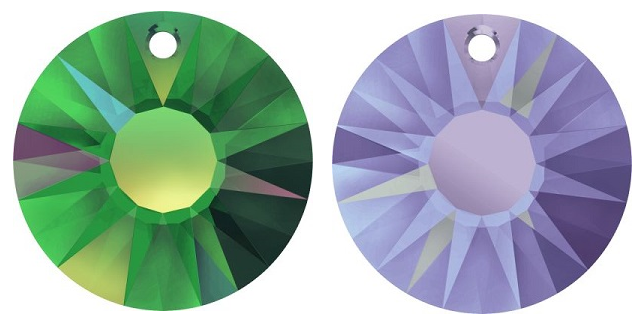 Introducing two New Styles in the Swarovski Flatback Crystal Collection, the Starlet Flatback and the Curvy Flatback! The Swarovski 2494 Starlet Flatback Hotfix and No Hotfix has taken the traditional square shape and added a curvaceous, playful design that is perfect for this season’s sports-chic look. The Swarovski 2540 Curvy Flatback Hot Fix and no Hot Fix has a very interesting and mesmerizing character with a dynamically strong faceting structure for optimal brilliance. 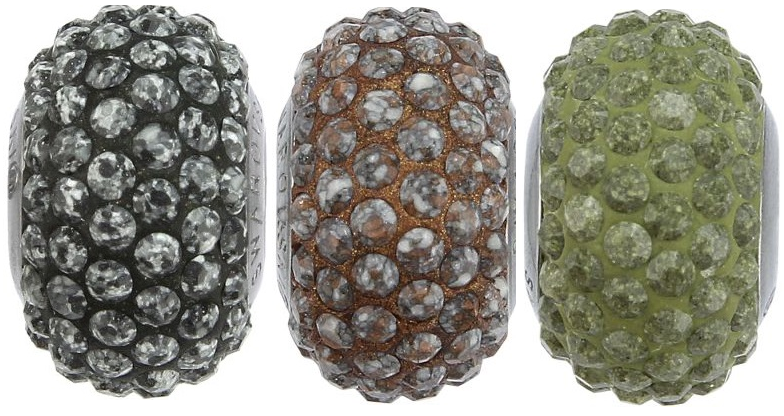 The New Swarovski BeCharmed Pavé Medley Beads are amazingly fascinating! 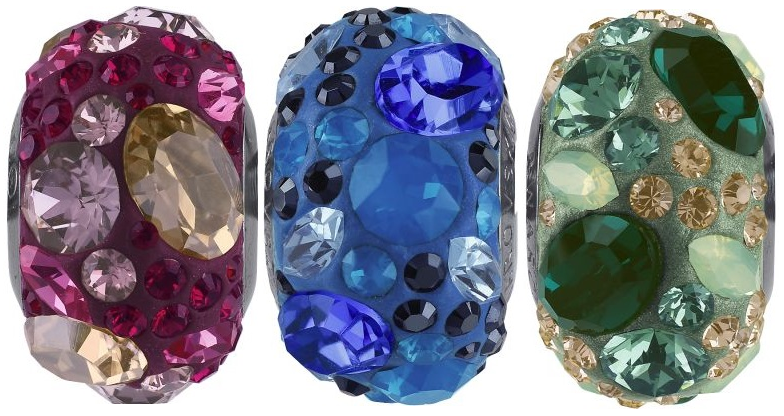 For the first time ever you have a Swarovski bead that incorporates smaller and larger stones along with different styles and colors, all in one bead to give a uniquely captivating design. The new style numbers of 81 304, 81 403, 81 504 are available in numerous types of color combinations for all your creative endeavors! Introducing the New Swarovski 84 501 BeCharmed Pavé Ceramic Beads.This unique style incorporates the subtle quality of the ceramic crystal, with its muted colors and marble like appearance you experience the quality of Swarovski crystal conveying an understated charm. Introducing the exceptionally radiant Swarovski 85 001 Pavé Thread Ring Bead! This dazzling new bead is available in either one or two holes, lending everyday opulence to homemade crystal items, accessories and jewelry! The mysterious New Swarovski 5378 Cross Bead, with its echoes of Gothic fashion and dark romance, emerges from the subculture onto the international catwalk. Straight cut, with a top-down hole and a new modern metallic finish, it lends itself to earrings, bracelets, charms or necklaces - a new cult classic. 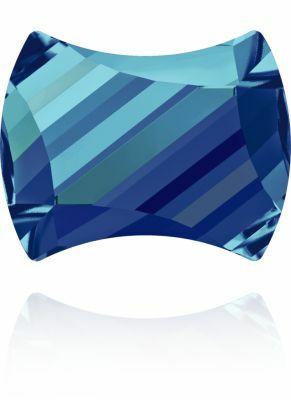 Making the most of the high fashion geometric shape trend this year is this New Swarovski 5748 Arrow bead. This strong style can be incorporated into a variety of fresh and fun jewelry designs. With its unisex form, you are able to create jewelry complimenting the rocker-chic aesthetic celebrated in the punk inspired fashion, as well as western influences and the ever popular chevron patterns and motifs. 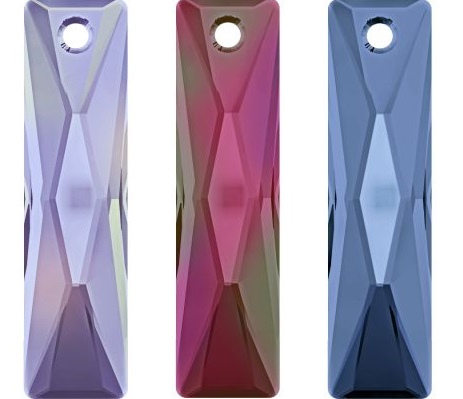 The New Swarovski 6465 Queen Baguette Pendant’s contemporary faceting and cool outer shape adds classic sophistication to both masculine and feminine designs. Well suited to crystal hobbyists, it also works well in earrings, bracelets, necklaces and fashion accessories. Introducing the New Swarovski 6724 Sun Pendant, whose expansively radiant faceting structure is quite literally a burst of sunshine! Accompanied by its distinguished counterpart, the 6724/G Sun Pendant is partly frosted providing an ethereal characteristic, similar to glistening snow as rays of sunshine beam through. 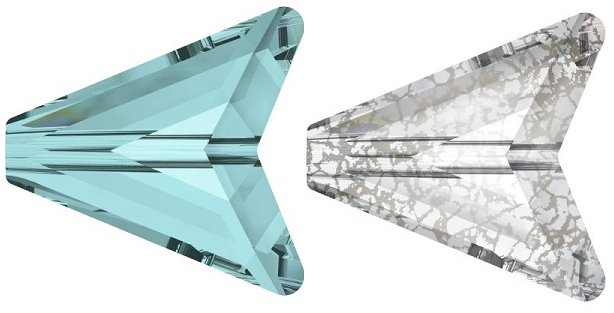 The new Vision Designer Edition marks the first-ever collaboration between Swarovski and Atelier Munsteiner, a German design house renowned for its multi-award-winning gemstone cuts, fine jewelry and sculptures. 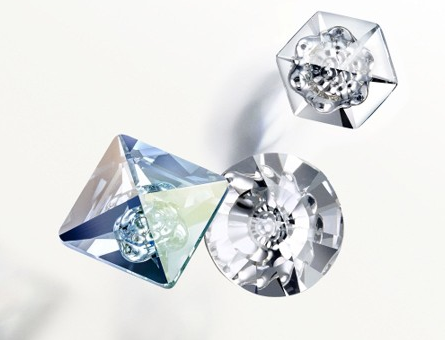 Combining the uncomplicated appeal of simple cuts with the playfulness of mirrored reflections, these ingeniously crafted crystals bring to mind frozen water, with mysteriously encapsulated air bubbles forming a perfectly geometrical, flower-like shape within the crystal. Available in three of the most popular shapes for Jewelry and Accessories—the round, square and hexagon—it offers endless design possibilities. 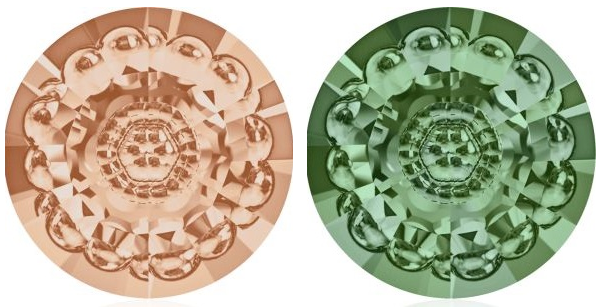 Introducing the New Swarovski 1681 Vision Round Stone Designer Addition! 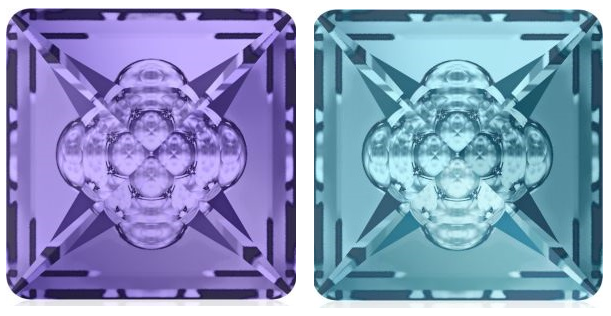 Introducing the New Swarovski 4481 Vision Square Fancy Stone Designer Addition! Introducing the New Swarovski 4681 Vision Hexagon Fancy Stone Designer Addition! 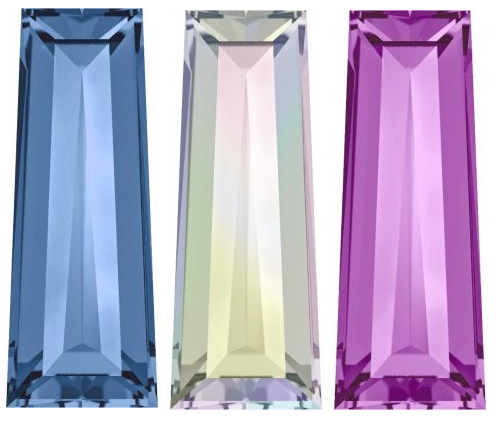 Introducing the traditionally elegant New Swarovski 4503 Tapered Baguette Fancy Stone! This beauty has a stylish twist, flaunting a slightly larger bottom which is certainly a trend worthy geometric shape, complete with a graceful and opulent sparkle. Introducing the charismatic New Swarovski 3011 Clover Crystal Button, with its playful and charming character, you can't help but feel lucky in love! 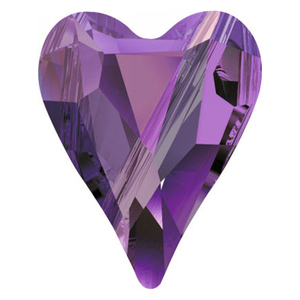 Introducing the sweetest and most lovable New Swarovski Crystal 3259 Heart Sew-On Stone! It is said that a dream is a wish that your heart makes, so let's all make our sparkling dreams come true with a beautiful little song.... sing it with me now....."put a little love in your heart, and the world will be a better place and the world will be a better place for you...and me...you just wait and see!" What a wonderfully uplifting song...listen to it below & feel the love! I hope you LOVE these New Fall/Winter 2015-16 Swarovski Innovations as much as I do. We are diligently working to get them up on the website as soon as possible, so please check back or contact us for details.